Packed with over 1,000 full-color photographs over more than 500 fossils, this handbook is designed to cut through the complex process of fossil identification to make it accessible to readers of all experience levels. Authoritative text, crystal-clear photography, and a systematic approach from Dorling Kindersley and the Smithsonian Institution make this guide both comprehensive and concise. Expertly written and thoroughly vetted, each entry combines a precise description with annotated photography to highlight each fossil's chief characteristics and distinguishing features. Each fossil is accompanied by a full-color illustration of the living animal or plant that the fossil once was in the distant past, while color-coded bands provide at-a-glance key facts to complete each entry. Also included is a comprehensive glossary so you can speak the language of a true paleontologist. 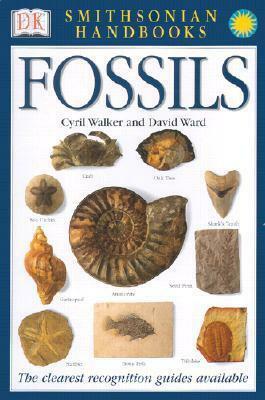 Written by veteran paleontologist and curator Cyril Walker, and veterinary surgeon and fossil enthusiast David Ward, and packed with detailed information on recognition, classification, and more, DK's Smithsonian Handbook of Fossils is the clearest identification guide to fossils for beginners and established enthusiasts alike. David Ward worked as a veterinary surgeon for 14 years before retiring from medicine in 1988 to pursue paleontology full-time. Ward has participated in several research expeditions in Africa and has traveled extensively throughout the world, including in Europe, Australia, as well as in the Americas. He is the author of the bestselling book Fossils.